Independent developer 17-BIT today announced a permanent price reduction to their recently released tactical strategy title, Skulls of the Shogun. The news comes just one month after Skulls‘ multi-platform release, slashing prices on three of the four supported versions of the title: XBLA, Windows 8 and Microsoft Surface. The Xbox Live Arcade version, already a bargain at 1200 MSP, can now be purchased from the Xbox Marketplace for a mere 800 MSP. Windows 8 and Microsoft Surface versions have been similarly reduced in the Microsoft Store; they will be available at $6.99 moving forward. The only platform to escape the price tag chopping block was Windows Phone, maintaining the lowest cost of entry at $4.99 on the Windows Phone Marketplace. Though the prices might suggest otherwise, 17-BIT confirmed on Twitter that each version of Skulls of the Shogun was identical across all platforms. 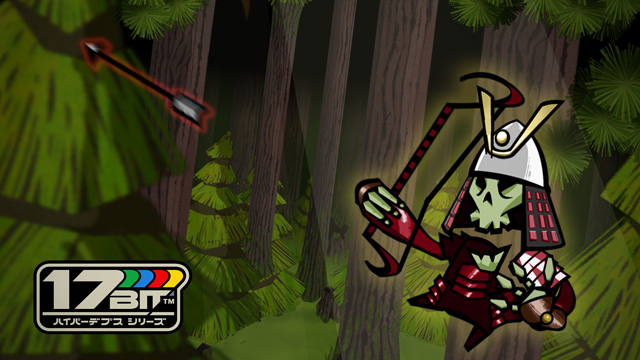 That consistency is important, as Skulls of the Shogun is the first of its kind to feature interconnected play across Microsoft’s many platforms. Dubbed “Skulls Anywhere,” the system allows players to challenge their friends, battle in competitive multiplayer or pick up their solo campaign on the road asynchronously. @Code_Helix It's actually the same game on each of the platforms. We really enjoyed Skulls of the Shogun during our review playtime, enthusiastically suggesting that you buy it! If you haven’t already, now you’ve got more reason than ever to see what all the fuss is about. We’ve also reached out to 17-BIT with regard to the price cut and the motivation behind it coming so soon after release. This story will be updated should the developer issue a response.